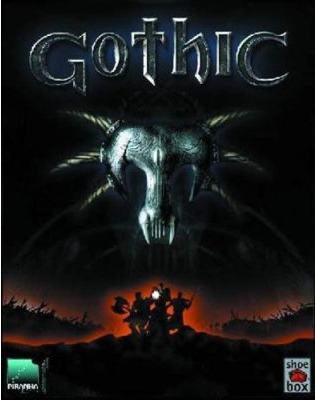 Gothic was developed by the German company Piranha Bytes as a single-player role-playing game franchise for Windows. It is set in a medieval fantasy realm in which humans are locked in a losing battle with Orcs. Gameplay involves completing quests as well as slaying wild animals and monsters to earn skill points. The points are then used to increase the user’s attributes and skills in the areas of intellect, physical strength, fighting prowess, trades, and magic. The player-character is referred to as Nameless Hero (pictured below).